One work led on to another work. My first novel was published in 1981. In 1982 I was consecrated as a pagan priestess. One way or another, I’ve been following both paths ever since. On this site you’ll find information on what I’ve done and what I’m doing, with links and resources to find out more. “Writing” will take you to information about both my non-fiction work and my novels and stories. 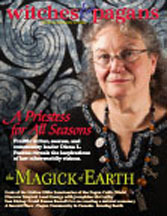 “Community” has news about projects in the pagan and heathen communities. The calendar shows when I’ll be attending conventions and festivals, and doing radio interviews and book signings. If you have a comment or a query, or there’s something I haven’t covered that you’d like to know, please get in touch. I’ll try to update regularly and answer your questions. In a sense this is the book I have been working on since I first encountered Odin in 1987, a chance to share what I have learned from the lore, from others who have met him, and from my own experience. 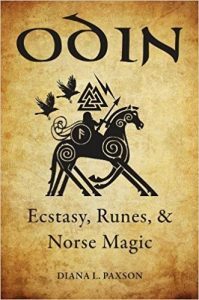 This is a book for those who heard about Odin on Vikings or American Gods, and want to know the lore behind the vision, those who already know Odin and want to learn how others see him, and those who are, perhaps unexpectedly, encountering him today. I am delighted to have received this excellent review in Publishers’ Weekly. “Patterns”, Valdemar XI: Pathways, ed. Mercedes Lackey, DAW, a sequel to “Weavings”, which appeared in No True Way in 2014. In this story, Selaine is studying with the healers and her mother is making a reputation as a weaver in Haven, but the capital, overrun with refugees from the Tedrel wars and rumors of terrorists, is no refuge. The Wolf and the Raven hunt again! 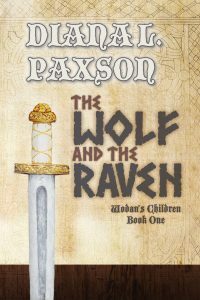 The Wolf and the Raven, first novel in the Wodan’s Children trilogy, is available once more! This is the book that explains how the lives of Brunahild and Gudrun, Sigfrid and Gundohar, first become entwined. We meet them first as children, and learn what experiences make them the people who will do the deeds that became one of the greatest European legends.Here we learn how Sigfrid reforged his father’s sword, and the true nature of the dragon he is destined to kill. Meanwhile, Brunahild is being trained as a valkyrie in the hills above the Rhine and learning the secrets of Germanic magic. Wodan (Odin) also appears, subtly nudging his children in the direction Wyrd needs them to go. Out of print for over a decade, it’s the first book in my backlist to be available for a new generation of fans. Buy your twentieth anniversary edition of The Wolf and the Raven today! Available Now: As a trade paperback from Lulu, our print-on-demand manufacturer. Also available as a PDF and an eBook for all your devices, direct from my online store. For more information in purchasing this and other books, check back soon for information on how to order all my books through my online store!